Kids grow up too fast and before you know it that little bundle of joy you’re holding in your arms will be all grown up and leaving the nest. When that happens, the one thing that you’re going to want to have is as many of the happy memories you shared with them saved – and what better way to do so than to take your baby’s photos and create a slideshow. Just like any parent, you probably have a lot of baby photos – so take the time to go over them and select the best ones. It is entirely up to you how many images you want to put in your slideshow, so if you really want you could just use every single image you have. That being said if you’d like to keep the slideshow at a reasonable length you should be a bit more selective. Think about it this way: Assuming you’re going to transition the slides every 10s, you can fit in 6 photographs a minute, but if you’re transitioning every 5s then you can fit in 12 photographs a minute. While there are many different ways to create a slideshow from photos – one of the best is by using the Movavi Slideshow Creator. 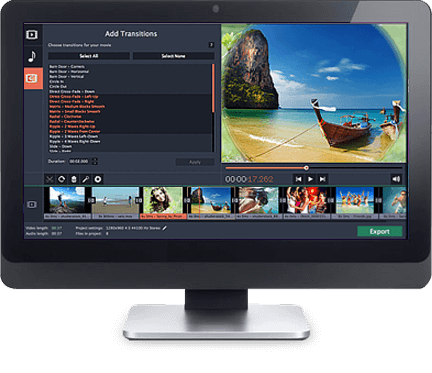 By using this software, you’ll find that you have numerous options at your fingertips – including the fact that the slideshow you create will be a video that can be saved in any format you require. On top of that you don’t need to ‘limit’ your slideshow to photos alone – if you have any short videos you want to incorporate you can do so as well.